Who wants to go on a word walk? Who wants to write a story? Tulip and Rex do, do you? 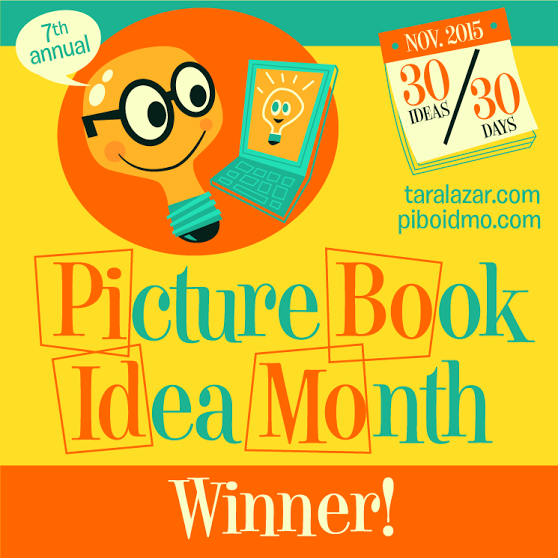 Alyssa Satin Capucilli’s new picture book (Fall 2015) is Tulip and Rex Write a Story, illustrated by Sarah Massini and published by Katherine Tegen Books, an imprint of Harper Collins Publishers. Previously, Capucilli (also the author of the Biscuit series) wrote the first in this series, Tulip Loves Rex (2013). This new book, ages 4-8, carries the friendship of Tulip and Rex further, focusing on creativity and the power of writing stories. When Tulip and her dog Rex go on a walk, everything turns magical. They observe the world around them and create something together – a story! I have an essay to be published in the Illinois Association for Gifted Children Journal 2016. It will come out in February 2016. Details coming soon! PiBoIdMo 2015! I am registered, are you? Guest blogger today! Here is my review of The Magician of Auschwitz by Kathy Kacer, illustrated by Gillian Newland on the Nerdy Book Club blog. 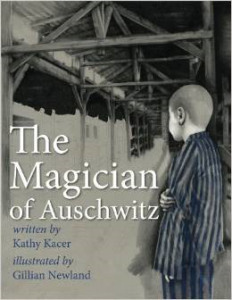 Kathy Kacer’s The Magician of Auschwitz, published by Second Story Press (2014), tells the true story of a lonely boy named Werner Reich and a mysterious magician named Herr Levin (a.k.a. Nivelli the Magician) who become friends in the barracks of Auschwitz. War brought them together in one of darkest times of the human race. But magic gave them hope, laughter, and the will to survive.